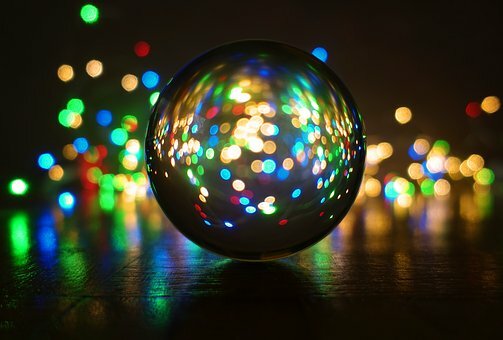 It’s crystal ball time again! What will the communications technology industry see in 2019? I derive my predictions from a combination of takeaways from my consulting engagements, vendor briefings, conferences, and discussions with analysts and other consultants. These predications are from the viewpoint of end-user organizations and the potential impact each might have on them. You might consider some of my predictions as obvious while others will challenge the standard thinking. This trend showed itself in 2018 with examples such as the Sprint and T-Mobile merger proposal; Vonage’s acquisition of NewVoiceMedia and TokBox, moves that appear to have been aimed at adding portfolio capabilities as well as IP ownership; and Twilio’s acquisition of SendGrid, which provides a strong email capability to complement its SMS, voice, and video platform. Last week we already saw evidence that the trend will continue in 2019 with RingCentral’s announced intent to acquire Connect First to supplement its contact center offerings. An unintended consequence of these consolidations is their impact on pending end-user deals. For example, after Vonage announced the it would be buying NewVoiceMedia, one of my clients became concerned about the company’s commitment to its InContact relationship. Vonage resolved the issue by including a contractual support commitment for the InContact implementation. I’d encourage others to consider the impact of acquisitions on their procurement and product strategies. Going forward, stock market performance and the economy overall may impact the pace of consolidation given their direct effect on the capital available for acquisitions. Competition for capital to achieve merger and acquisition is likely to occur as service providers consider media (i.e., AT&T/WarnerMedia) and technology companies. 2. A couple of major wireless product rollouts are slated to take place in 2019. 5G sees sluggish adoption in 2019. This appears to be a hype cycle example with buildouts just starting and few mobile devices capable of supporting 5G. While some use cases may apply for Internet of Things (IoT) and some fixed wireless applications, other drivers aren’t clear at this time. My clients are watching this market slowly develop, but don’t see 5G impacting 2019 plans. Longer term, the need to extend 5G technologies to indoor environments may pose major questions regarding infrastructure, as current-generation distributed antenna system technologies no longer fit the needs. I may be a little bit early on this one, but wireless on the premises continues to expand significantly as WiFi 6 (802.11ax) increases the density of users per access point. I don’t expect to see product from major players become available until the second half of 2019, so I advise my clients to hold off on wireless upgrades until they can effectively test them. The WiFi 6 market will likely develop more rapidly than the 5G market, and I don’t see much overlap at this stage. 3. Hybrid and, to a certain extent, premises solutions thrive in spite of the cloud hype. I’ve previously written about this trend as it relates to small and mid-market enterprises, and other recent No Jitter articles (see here and here) discuss the positive economics of premises and hybrid solutions for the enterprise. This is NOT a ”one size fits all” scenario. Cloud may be appropriate for many small enterprises and for some middle-sized enterprises, whereas many medium to large enterprises are able to satisfy their communications technology requirements by supplementing financially amortized premises-based systems with additional cloud-based applications. In fact, if you consider that enterprises embraced solutions such as Webex for conferencing while maintaining their premises-based PBXs for core voice requirements, then the hybrid scenario has existed for over a decade. Fast-forward to 2019 and hybrid implementations have expanded to include pretty much all communications technologies. Other enterprise requirements such as platform integration and product/release control also tend to favor premises/hybrid architecture. In support of this prediction, I find it interesting to see that Cisco has modified its strategy from cloud-only to cloud-first, most likely in response to the above-stated market realities. 4. Communications platform as a service (CPaaS) continues to grow at a significant pace. In 2018, Twilio showed impressive growth in customer base and usage, as is reflected in its stock price. Competitors such as Vonage/Nexmo and Cisco/Tropo have ramped up investment in their products, and I’ve seen mainstream media advertisements as well. Many other players -- perhaps too many -- offer CPaaS, too, which may lead to consolidation in this market segment. In 2019, it may be hard to justify building apps on platforms from second-tier players that don’t offer significant differentiation. It seems to me that the market has ample room for CPaaS-enabled personalized communications as well as the generic voice/UC variety. 5. Artificial intelligence (AI) is still a few years away from becoming mainstream, a prediction supported by Forbes and Gartner. That said, some low-hanging AI fruit should see significant progress in 2019. This centers around robotic process automation (RPA), which is a form of business process automation technology that uses software robots or AI. To some extent, this is a toolset that finally appears to offer a reasonable approach for process change. Early implementations have been documented for improving customer service outcomes. Many other industry areas -- security, blockchain, and software-defined WAN, among them -- deserve discussion… but that will be for another time. Overall, the coming year will be evolutionary rather than revolutionary. Let’s see how things actually work out in 2019. As they say in baseball, it’s a long year!